... Humphrey Boyd (Maguiresbridge) and a few of them were left behind and they joined the 9th Lancers, and were in the thick of the Lancers’ charge (which has since become famous)." 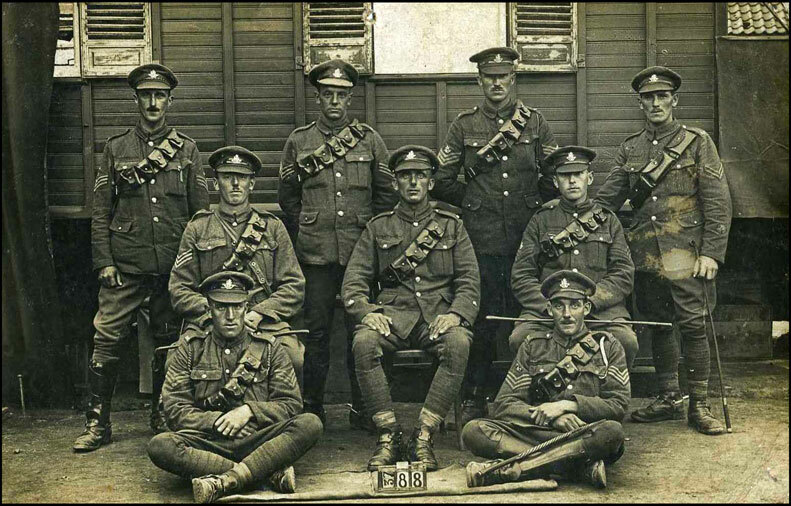 On the 26th August, he says, they had been doing rearguard for the 4th Division, and had been in action from 3.30 a.m. till 5 p.m., and were almost "done up," having got no rest or sleep for some time previous. That was in the retreat from Mons. "We stopped at a little village to feed our tired horses and to have some food ourselves. Lord Cole rode to the sentry furthest from the village, and returned at full gallop, with the signal 'Mount,' and then we got 'Action rear.'" Handing over their horses (the writer proceeded), they took up a position in the gardens, and opened fire at 1,100 yards, and left many riderless horses in the enemy's ranks. The Germans shelled the village, tumbling over the houses. Hiram Robinson, Brookeborough, and Sergeant Boyd (Maguiresbridge) ran for their horses, when a house which had been struck by a shell crashed down beside them. He saw Sergeant Boyd crawl out from under the fallen house – mud from head to foot – while Hiram Robinson was slightly wounded on the head. Six of them, including Robinson and himself, got detached from their troop, and fell in with the Dragoons, and took part in the charge of the 9th Lancers at Cambrai. This may be a reference to the cavalry charge by the 9th Lancers at Audregnies on 24 August or at Moncel on 7 September. 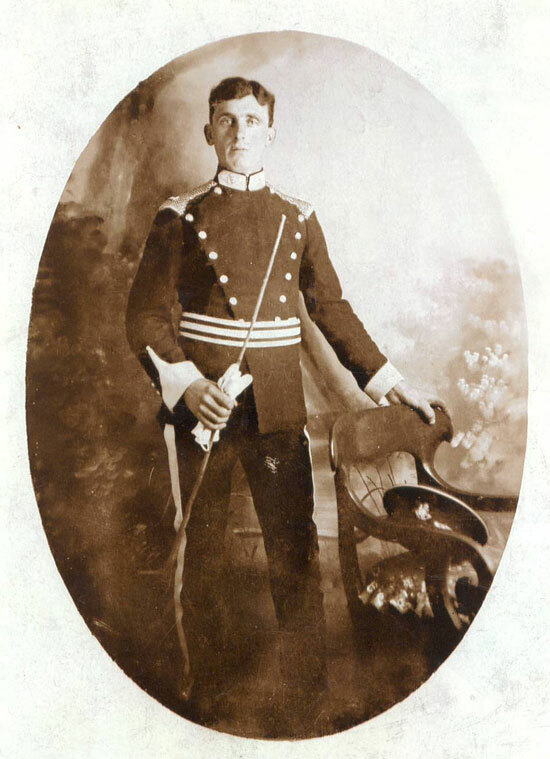 Boyd served in A Squadron throughout the war, rising to the rank of Warrant Officer Class 2. In May 1916 A Squadron joined with D and E Squadrons of the North Irish Horse to form the 1st North Irish Horse Regiment. In March 1918 the regiment was dismounted and converted to a cyclist regiment, serving with V Corps for the remainder of the war. At the beginning of December 1918 Boyd's regiment rode from their camp in eastern France to the village of Vignacourt, near Amiens. They remained there until the following June. Many took advantage of the services offered by the local photographers, Louis and Antoinette Thuillier, whose glass-plate negatives were printed onto postcards and sent home. Thousands of these negatives were recently discovered at the farm where the photographs had been taken, among them at least thirty showing men of the North Irish Horse. Humphrey Boyd appears in six of these (see below). At the end of 1918 Boyd was awarded a Military Medal, and the following year a Bar to his Military Medal (only one of two such awards granted to men who served with the North Irish Horse). On 13 March 1919 he was discharged under King's Regulation 392 xvi (a) - surplus to military requirements, having suffered impairment since entry into the service. I am grateful to Geoffrey Boyd, WO Boyd's grandson, for permitting me to use the first image, to Olive Nelson for the second image, which includes her grandfather William Lockhart, and Bracken Anderson for the third. The remainder are from the Louis and Antionette Thuillier Collection, courtesy Kerry Stokes Collection, Perth, Western Australia.